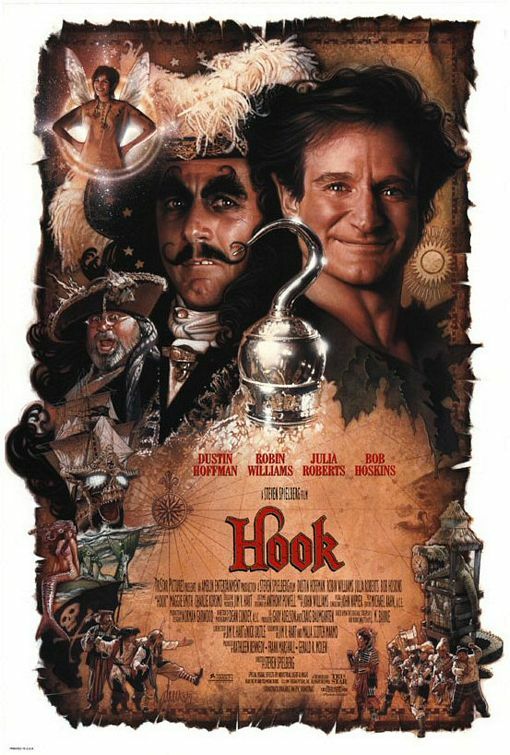 Hook stars Robin Williams, Dustin Hoffman, Julia Roberts, Bob Hoskins, and more and was directed by Steven Spielberg! It received negative reviews from critics and cynics, but disproved them all by being loved by audiences with over $300M grossed worldwide and multiple nominations in the 64th Academy Awards! Why do I love it so much that it receives the title of “My favorite movie of all time!” ? I have always loved the story of Peter Pan from a child. The idea of never having to grow up and being able to enjoy adventure always is exciting! Who doesn’t want to be able to fly? 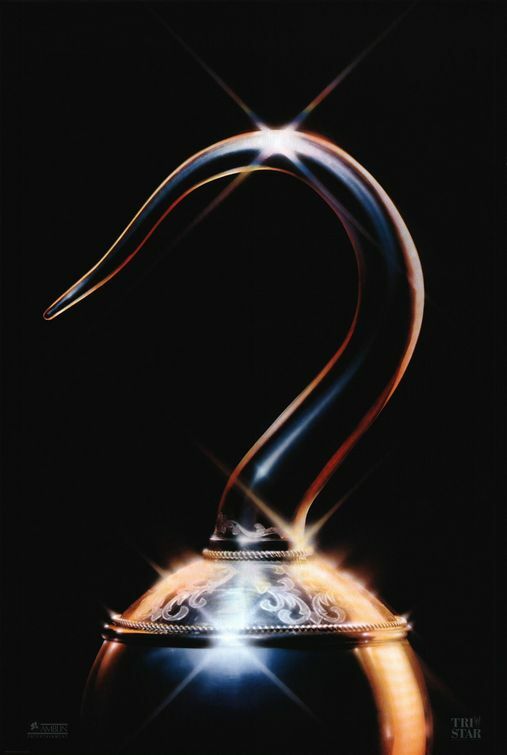 Hook has an amazing angle on the story by allowing a grown up to be able to experience it once again. (There can always be second chances!). Robin Williams and Dustin Hoffman gave some of the best performances of their entire careers respectively. The boyhood gang style of the film that was so prevalent in the 80s and 90s always makes a great connection with audiences (The Sandlot, Little Rascals, The Goonies, Stand By Me, Little Giants, etc). Plus! The FANTASTIC musical score composed by the one and only John Williams. It is so masterful and appropriate that instantly transports you into the world of Neverland and Peter Pan! Dustin Hoffman’s three children make appearances in the movie. His youngest son, Max Hoffman plays 5 year-old Peter Pan. His daughter, Rebecca Hoffman plays Jane in the play at the beginning of the movie, and his oldest son, Jake Hoffman plays a little league player in Jack’s baseball game. One of the pirates who attempts to steal Peter’s shoes when he first arrives in Neverland is played by singer Jimmy Buffett. Steven Spielberg admitted to being disappointed with final result of the movie. Kevin Kline was originally set to play Peter Pan, but had to drop out of the film because of Soapdish which was having major re-shoots, re-writes and taking much longer than expected to complete shooting. Tom Hanks was also considered for the role. Julia Roberts was nicknamed “Tinkerhell” because she was difficult to deal with. David Bowie turned down the role of Captain James Hook. After Peter Pan finds his kids kidnapped he is talking with the inspectors, the main inspector is Phil Collins. Gwyneth Paltrow’s second film. She appears briefly, as the teen-aged Wendy during the quick sequence as Wendy is growing up. The pirate shut in the chest with the scorpion was played by Glenn Close. Bet you didn’t know all that! did you?! up next: Movie News Monday! Next Movie News Monday for December 12, 2011! Well, I’ll spare you my “cynicism”. LOL 😀 And just say I dont remember it as fondly, and perhaps I should give it another shot. I’ve only seen it once, I believe. When it first came out. haha! I hope you get a chance to watch it again! I truly love the film and can watch it anytime! Y’know I think I saw this a while back but can’t remember a darn thing about this. Whaat?? You must watch it Ruth! Watch it soon! It’s even available to stream on Netflix currently! They just don’t make kid films like they used to. Today, they are too busy it seems, in trying to make kids ‘grow up’ too fast. I remember seeing this film when I was 10 or 11…I think I was maybe 5 when this film came out? I enjoyed the film. 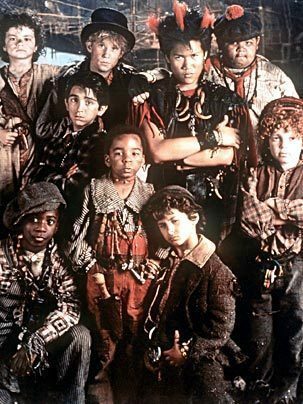 I think every kid wanted to go to Neverland. Who wouldn’t want to fly around with Peter Pan! You said it very well Aidy!! They just dont make kid films like they used to!! I couldn’t agree more! Thanks for your comment! It’s been out 20 years?! Wow! I love this film, and it’s definitely time for a rewatch. Great post, T. I like how you’ve set it out. 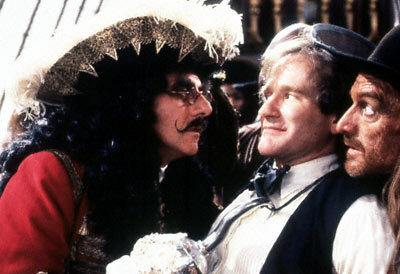 This, along with Mrs Doubtfire, are possible two of my favourite Robin Williams. Mrs. Doubtfire is a classic! Thank you for your kind words. I can’t help but watch this when it’s on TV. Which is a LOT these days. It’s such a charming little film. It hasn’t aged well mind. But, it’s fun. I remember seeing this in the cinema! It might have been my first ever Peter Pan film. Tinkerhell totally cracked me up! As far as I’m concerned, there is only one Peter Pan movie and it’s this one. Saw it in the theaters when it came out. Had it on VHS. Watch it every time it’s on TV and have made my kids watch it with me. Also, David Crosby (of Crosby, Stills, Nash, and Young) is in the movie as a pirate. Points for you Trevor! This IS the Peter Pan movie. When I have kids, I fully intend to watch it with them as well. Oh, and I forgot about David Crosby. Thanks for mentioning him. Kinda forgotten about this film, but you’re right this is a very enjoyable flick. Thanks for the behind-the-scenes link too, I love these things.